I'm never disappointed with Proenza Schouler's collections. They always seem to be EXACTLY what I'm loving at the moment.Their Fall/Winter 2011 looks were no exception. I have a closet overflowing with cowboy boots, more turquoise shirts than one could ever need, and recently found the perfect navajo wrap sweater to add to my wardrobe. I also love the mustard & turquoise accent colors! I'm still going through all the NY fashion week show images to see what catches my eye, but Proenza was an obvious early favorite for me! What designers' collections have you been loving for fall/winter 2011 fashion week? I love the prints! I haven't had a chance to check out the entire collection yet. Love the turquoise and mustard accented skirts! The designs are so pretty. 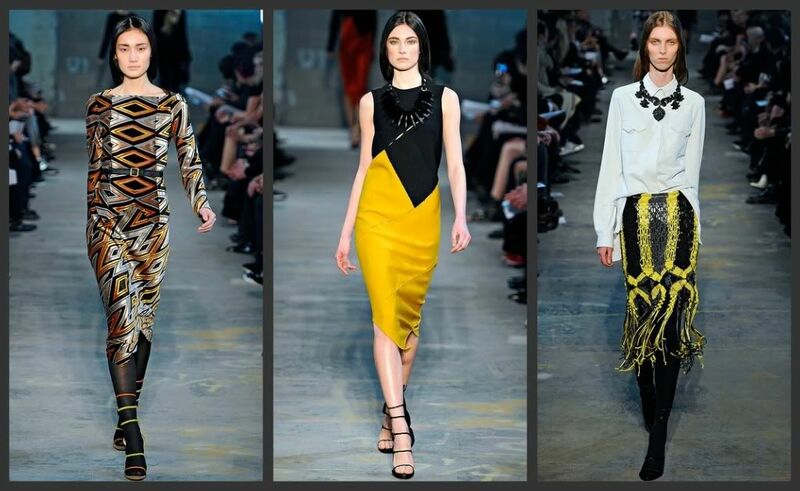 I love the pops of colours and traditional Proenza style to everything. Such a beautiful collection; My favorite has been Tibi! 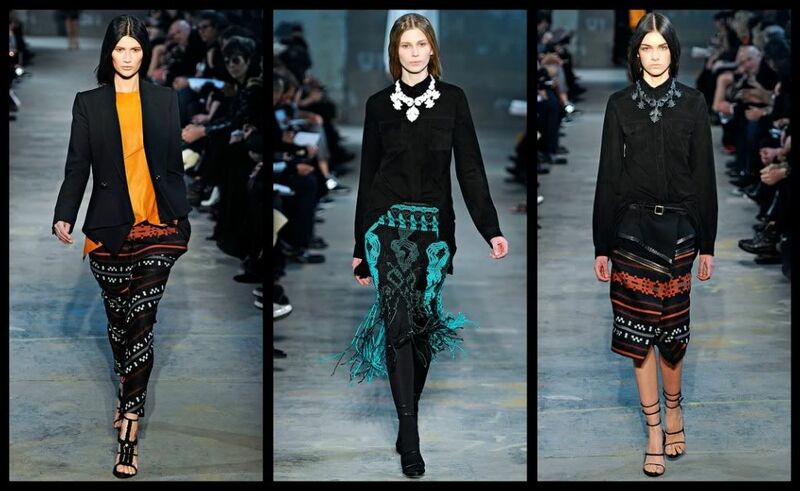 I adore Proenza Schouler - I have for such a long time, and this collection is no exception. I always hold my breath for my favorite designers, hoping that they can keep the momentum that made me fall in love with them to begin with, and PS never lets me down. Ahh, can't wait to hear about your big movie - crossing my fingers that everything goes smoothly for you, girl!